Hey everybody! On this video, I will show you how to make your Facebook ads even better. 1: 1-day click or view: You might use this option if your leads are high and you receive a lot of volume from your funnel. 2: 7-day click or view: This is a great option if you are starting out or you haven’t experienced a considerable volume yet. This way, people will click and then Facebook will track their behavior through your funnel. With your email marketing, users may end up purchasing 7, 28 days or 30 days down the road. Have this two options in mind for your Facebook Ads and invest heavily in your own business. Take advantage of Google and Facebook. Make them send traffic to the value you offer so that people can start getting to know you. Also, find out why your Facebook Ads are not approved. Hey everybody. What's up? 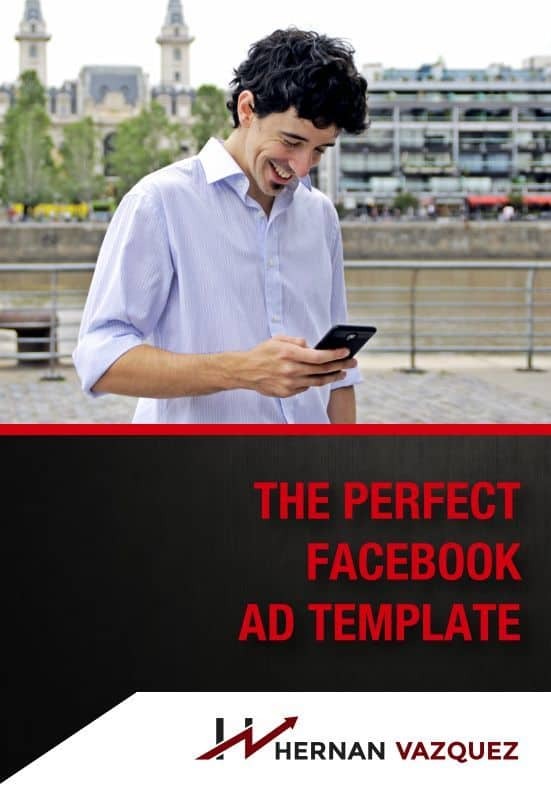 On this video, you'll find out how to make your Facebook ads even better. Hey. What's up, guys? Hernan here and welcome to another video. On this video, I wanted to answer one of the questions that we got on the Facebook group which was: “What kind of conversion window should I use? Should I use one-day click, should I use seven-day click, should I use 1-day click or view, should I use this, should I use that” and that's precisely the question that I want to answer for you guys on this video. Now, with that said, if you have questions like that, regarding your Facebook ads, what kind of images are working the best, what kind of videos are working the best or whatever or how to make your Facebook ads better or why are your Facebook ads not working, those type of things, come and ask them on the free Facebook group. I'm pretty active over there. We have a lot of super smart people and it's free, so there's going to be a link somewhere around here so you can join. Now, with that said, let's hop into the computer real quick because I want to show you guys how to make your Facebook ads better using these specific window optimizations, all right? Let's hop into the computer and share that with you. All right, guys. Welcome to the computer now. Here we are. And what I want to show you real quick is what do you have in mind when it comes to this section right here so that you can make your Facebook ads a little bit better. Here we are, and this is called optimization and delivery. The question that I got was all right. So, I have these different windows. You have the conversion window, and you have the optimization ad delivery. When you're running a conversion ad, you want to keep this on conversions unless you are using different options or you want to split task a little bit like, for example, landing page views or link clicks, etc… But it will always go with conversions just because if you're going by conversions, you're leveraging the algorithm much better. That's something you want to have in mind. I almost always use conversions. But here's the thing and here's where the question becomes is what's this conversion window? Which one should I use? Because you have 1-day click, 7-day click, you have 1-day click or view or 7-day click or view. Which one should I use? And here are the two options that I see viable and that I pretty much always use which is 1-day click or view, number one, or I also use 7-day click depending on the case. Let me explain with you how this works. Here we are on the good old Lucidchart. I'm going to draw a funnel real quick. So let's say that you have an ad right here and that ad is going to go on your page. Let's say that you're promoting a webinar. Let's do this. So, we have a landing page that goes to the webinar. Then, we have the webinar thank you page. Then, we have, let's say, the webinar broadcast room. Then we have the order form. And then we have the thank you page. This is basically how it will look like. You're sending people from a Facebook ad into a landing page. This will be counted in terms of conversions for Facebook. This will be counted as a PageView. You will be counting this as a PageView or the option is to also count it as a ViewContent. These are the two events that I trigger on these pages. The next thing will be a webinar thank you page. On this case, you would trigger a lead obviously or a custom conversion. Then, on the webinar broadcast room, Facebook doesn't have an event for this, but what I usually do is to tweak the event a little bit so that I have this. I have this code right here which is AttendLive and you can do this on the pixel itself, so it will be AttendLive. Then, on this case would be initiate checkout or add to cart, depending on your case. Come on, now. Add to cart, depending on your case. I usually do add to cart, depending on if you have two step order form. Maybe the first one will be add to cart, the second one would be initiate checkout and here, we will be triggering a purchase. Whoops. Cannot type today. Purchase. So here, you have the different events. We will have a PageView or ViewContent. PageView will be actually in all of these, but ViewContent rather will have a lead and AttendLive and then if you have a replay, it will be AttendReplay, there will be an add to cart here and then we're going to have a purchase. Here are the different events that we can optimize our Facebook ads for. Now, here's the thing. Usually, and this is independent of the volume that you're handling because you could be handling anywhere between, I don't know, $100 a day or $5000 a day or $14000 per day, so it's a matter of volume in this case, but here's the thing. Let's say that you are having, I don't know, something like … Let's say that you are having 1000 visitors per day to this page. You would have 1000 visitors per day. Then, a healthy landing page. 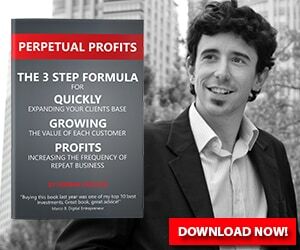 Let's say that it converts at 30%, so you would have 300 leads. Then, out of this, let's say that you have a 30% attendance rate or even further if you're running on-demand webinars. Every 10-minute webinar, you would have, I don't know, at 60%. So, 6 x 3, 180 viewers. Then, let's say that you have … Let's see there. So 300 x 3%. This will be 90 sales. 90 sales divided by 0.3. This will be 30 add to carts. 30 add to carts and then we will have nine sales. So what I'm doing here is to make the webinar convert at 3% out of everyone that register. Nine sales and usually, the checkout page will convert one out of three, so 30% conversion rate. Nine sales, right? Nine sales. These are our numbers right now. Let's say this is weekly or something. The reality is that if you see this funnel right here, you will have much more data at the visitor level than at the add to cart level. You will have much more data at the leads level than that the sales level. So what I usually recommend when you're starting out at Facebook and paying is that you do this. You optimize from the biggest amount of data to the lowest amount of data. For example, let's say that I almost usually or exclusively start optimizing per lead. But if I don't have enough conversions on the landing page view, I might very well do a ViewContent campaign because I want traffic here first so I know my numbers, but then I almost always start with lead. Now, here's the thing and here's the secret and here's a little trick, if you would. People will click on the ad. Instantly, on that, then it will see the ViewContent or the landing page. But maybe they don't purchase up until seven days down the road or even 30 days down the road. If you think about it, we got nine sales out of a thousand visitors. This will be a “healthy funnel”. Depends on your numbers of course and how much you're paying per lead and want that. But the reality is there's just a handful of people, super low amount of people, that will purchase the same day either because your webinar is three times a week or every day at 9:00 PM and maybe they're registering at 8:00 AM or something, so you have a delay there. Then your email marketing or your email follow up takes this up and it will follow up with them and then maybe they land on this thank you page seven days down the road or even 30 days down the road. This is a way of setting up your Facebook ad strategy and this is what you need to have in mind when trying to scale as well because maybe you're spending a lot of money on ads or a decent amount of money on ads and then you are ready to take a hit the first month or maybe break even on the first month because you know that 98% of the sales or 70% will happen on the second month, so that is something that you need to have in mind when it comes to Facebook ads. Facebook ads is a machine to get people into your ecosystem so that they can be acquainted with your company and you can get them to sell them products over and over and over again. Now, you might be wondering, “Okay, Hernan. That's great, but what the hell does this have to do with the conversion window?” Well, that's exactly when the conversion windows come to play because the conversion window and the optimization window works hand in hand with these conversion event right here. Let's say that you are aiming for a lead and if you have an on-demand webinar, maybe you can have a 1-day click view or a 1-day click and I usually do 1-day click or view if I'm running a lot of volume because a lot of people will actually go ahead and then they may view the ad and then the other day, they will actually manually insert the URL on their browser and they will go into it and Facebook will count that as a view through conversion, so this is why it's so important. But here's the thing. If you are optimizing for something like initiate checkout or even purchases, have in mind two things. Number one. You need to have a lot of volume so that Facebook knows who's the people that are purchasing and by a lot of volume, you need to be having at least 50 conversions per event per week, so you need to be pushing a lot of volume on the sale side of things and that's possible with the current budget. But what I'm saying is that maybe if you have a purchase here instead of a lead or an add to cart … Let's say that we have an add to cart, then you might need to use the 7-day click or view instead of the 1-day click or view or the 7-day click because again, people will click and then Facebook will track their behavior through your funnel, with your email marketing and what not and maybe they end up purchasing seven days down the road or 28 days or 30 days. This is called delay attribution and it's a big thing on Facebook because Facebook goes with a model of the 1-day view to an [inaudible 00:11:33] a day click. What that means is that Facebook will track a visitor for 28 days before they make a decision. That happens a lot when you're running a lot of volume, for example. It might happen to you that you disable an ad or an ad set and then three days later, you see that you got a sale within KPI, so you need to put that back on. That is something that you need to have in mind in terms of delay attribution. The main point is that your profitable here or you're breaking even or something along those lines, depend on the rest of your numbers, but that's how the conversion event versus the conversion window works. So I hope it makes sense. If you have any questions at all, just come and join the free Facebook group. It's 100% free, again, and we touch base on a lot of these topics and I hope to see you guys on the next video. Bye-bye.